Have you decided to insulate your home? There are some very good options for you and we urge you to take a look at our company. 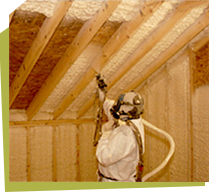 We offer reasonably-priced home insulation, which will meet all your needs and requirements. We are headquartered in London and we have significant experience in home insulation. We’ve worked with a great deal of customers and helped to make their homes warmer and cosier. If you trust our company, you’ll be very grateful you did. It’s wise to contact our service centre to get more details about our service. It’s available 24/7, so don’t be afraid to call us anytime. We’ll be waiting for you. We follow a few steps to achieving the most professional and least expensive home insulation in London. We use specialised supplies and can provide the necessary materials for your home insulation project. Our service is consistent, customer-oriented and personalised. You are in charge of the process from start to finish. At the same time we promise to consult you on what’s best for you and to achieve the desired results. This is a very tricky process and we recommend you leave it in the hands of our experts instead of doing it yourself. Home insulation can be made from a number of materials. Some of them are quite expensive, while others are very affordable. The least expensive one is fibreglass. Usually we determine the material after we have a discussion with you to determine your personal preferences and after we inspect your property. It is our duty to provide home insulation and we make sure it is done to the highest standards and the best possible quality. If you need more information about our company, please give us a call. We’re situated in London and therefore we work within this London area.